I’m sure you must look at your Google Search Console report every week if not months. At Crunchify, we look at Google Search Console report usually twice a week. 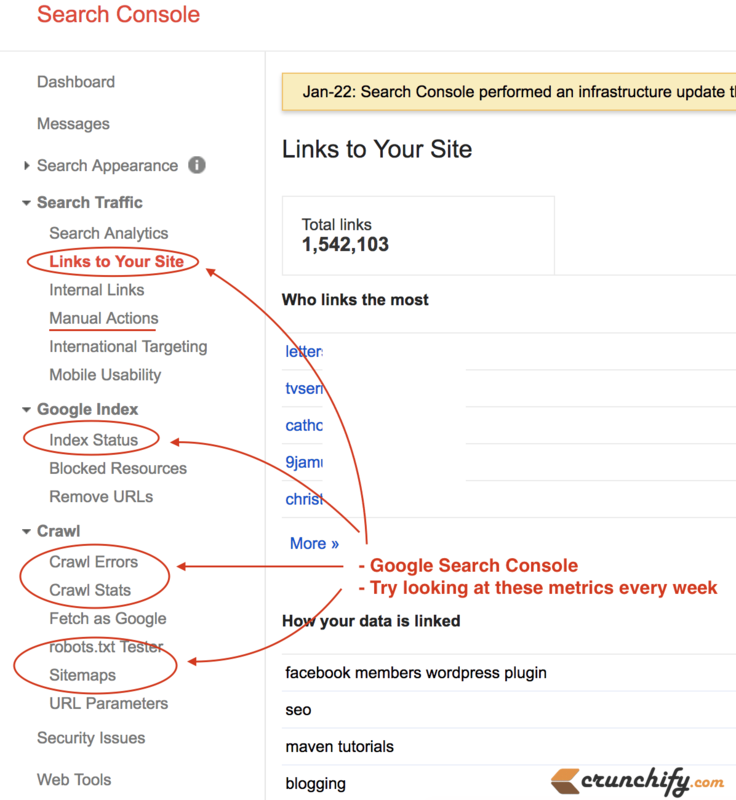 These are the key metrics every webmaster should check every week. This gives you atleast piece of mind if you don’t see any issue on your site. Some must be thinking – why Crawl Stats? We moved Crunchify.com site over to HTTPS early May 2017. Transition happened smoothly. Follow our all in one steps to move WordPress site over to HTTPS if you are still running your site with HTTP. As you see here – page downloading time in milliseconds decreased drastically after moving over to HTTPS. It reached as low as 0.369 second. That’s amazing and I’m really happy with the result as now most of the browser and CDN companies are supporting HTTP/2 protocol. 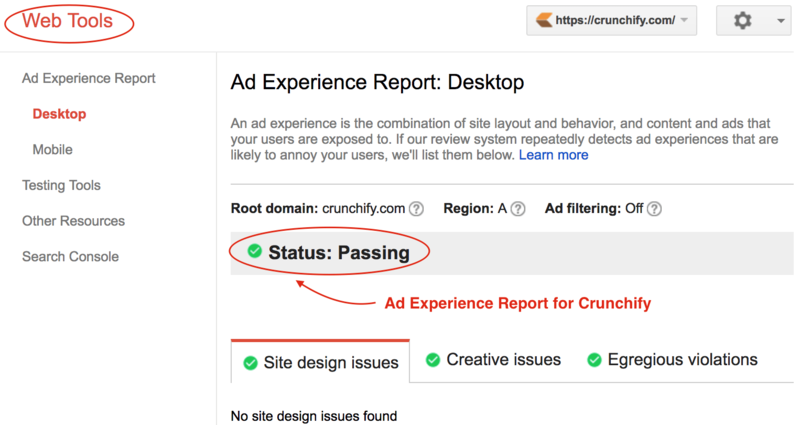 What is Ad Experience Report? This is all about the Ad Experience Report. Now let’s switch a gear and discuss Ad Experience Report. What is it? Well, I noticed it today under Webmaster Web Tools and saw report for Crunchify. Just replace siteUrl value with your site. Ad Experience Report is a tool which tells you how you are using your Adsense ads and other pop-up ads. If it’s blocking some of the common user behaviors then it will give you detailed message with corrective steps. I would suggest all Webmasters to start checking this page too to avoid any unnoticed changes on site. This is kind of warning result by Google before they start de-indexing your site in Search Result Page. thanks, your post helpfull to me. but I have issue with missing update and author for my blog. Hi Handy Rusandi – could you please share some more details? I didn’t get your question clearly. What do you mean by missing update and author?